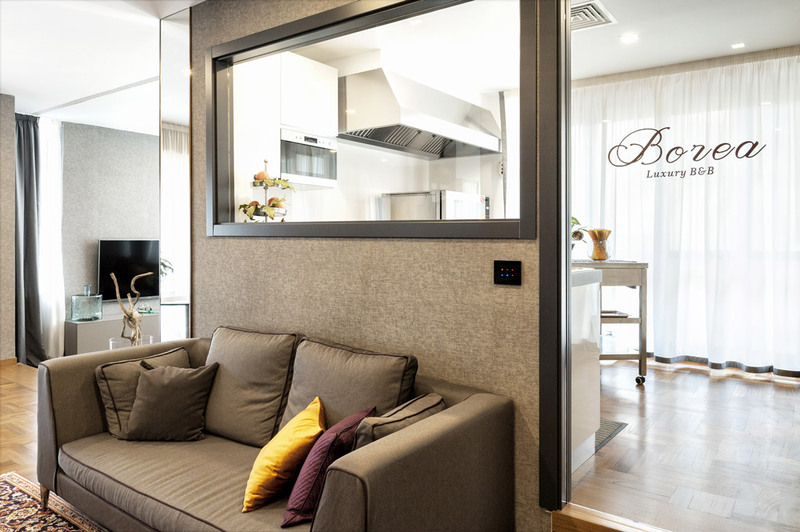 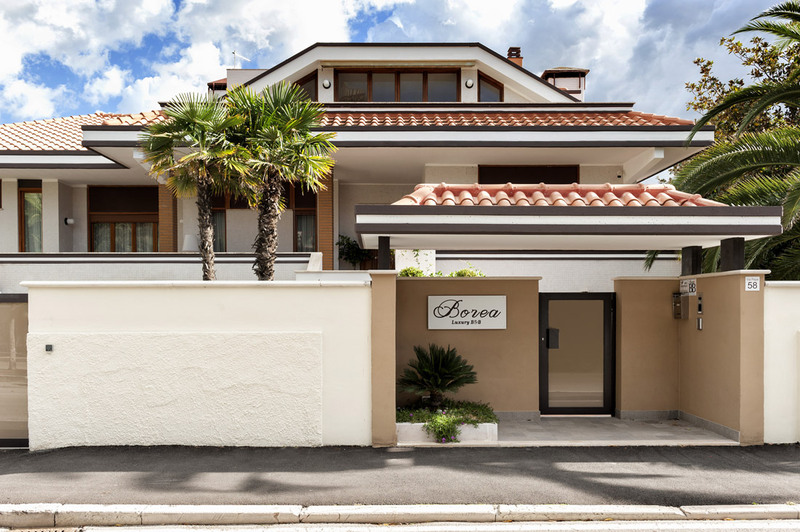 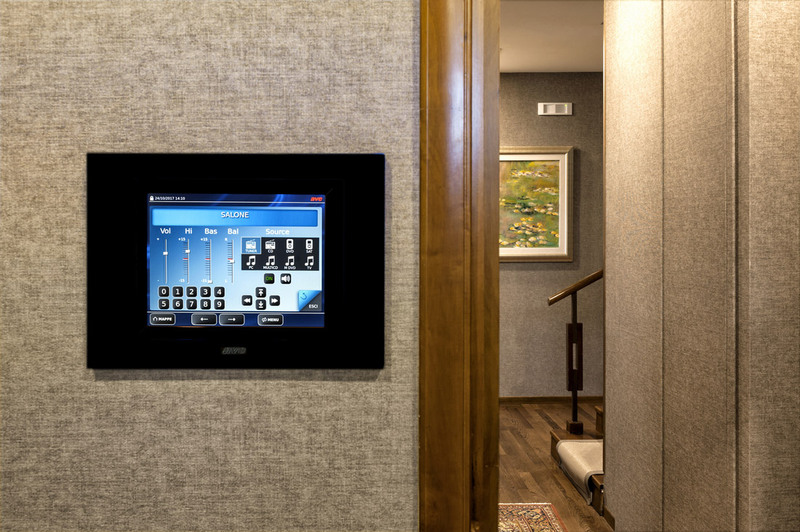 Borea Luxury B&B has chosen AVE home automation to make more comfortable and exclusive the sojourn of its guests. 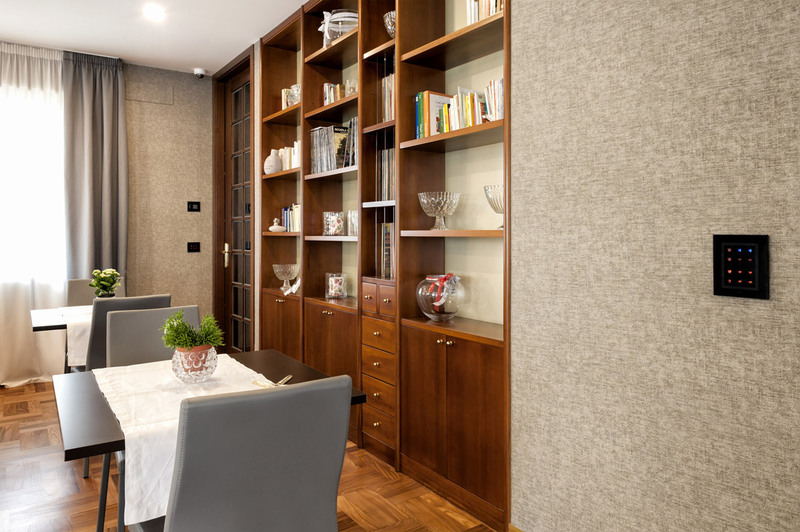 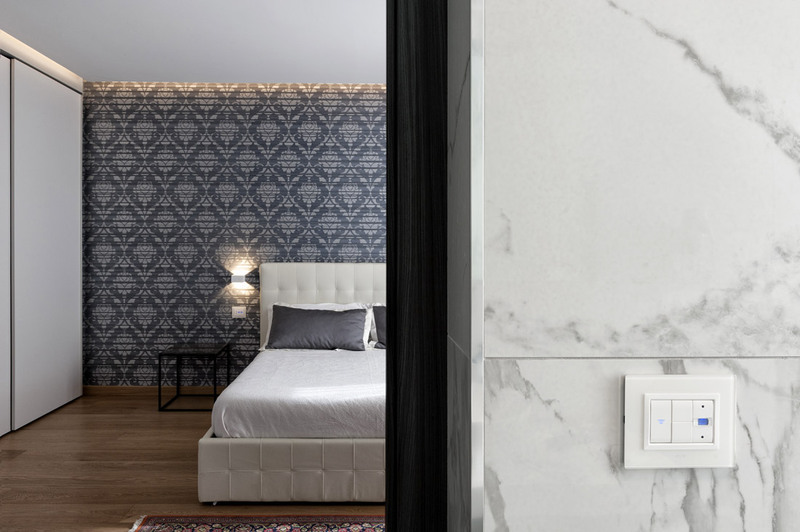 Inside this recently renovated villa, the distinctive element is the elegant touch screen DOMINA plus with a 15" display, completely in glossy black glass, from which the property can control every space. 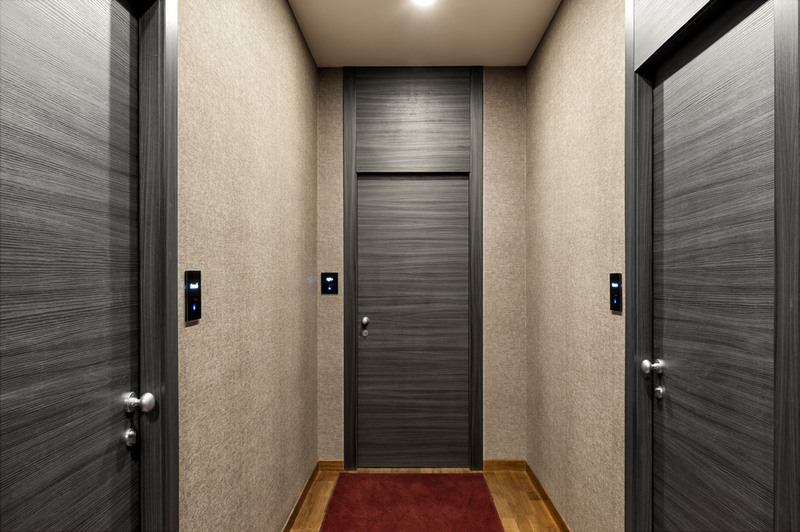 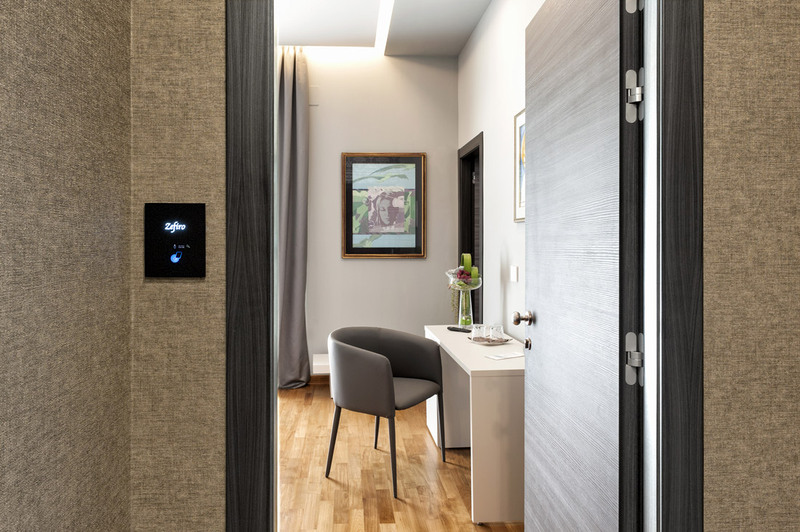 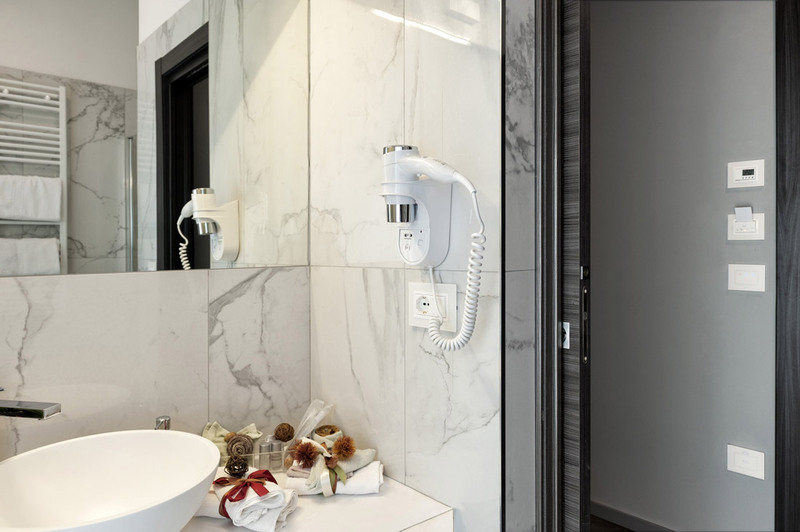 Aesthetically combined with the home automation touch screen, the Vip System Touch card readers with personalized glass front plates are inserted outside the rooms to concretely optimize the guests’ services. 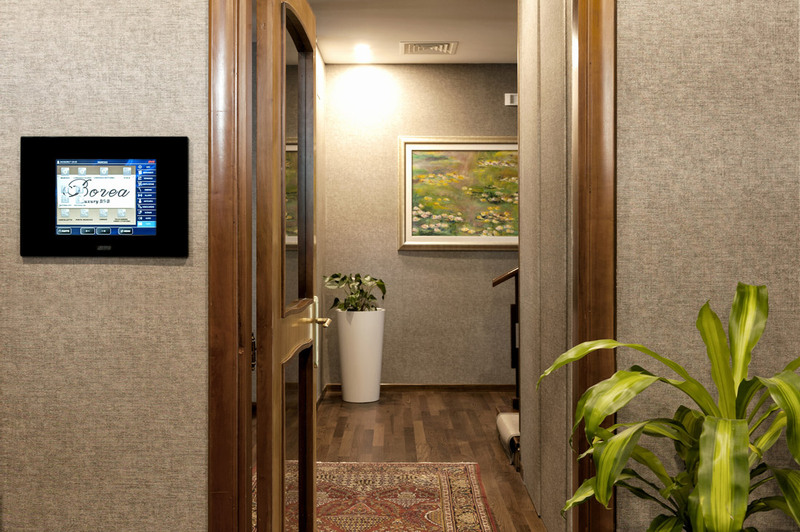 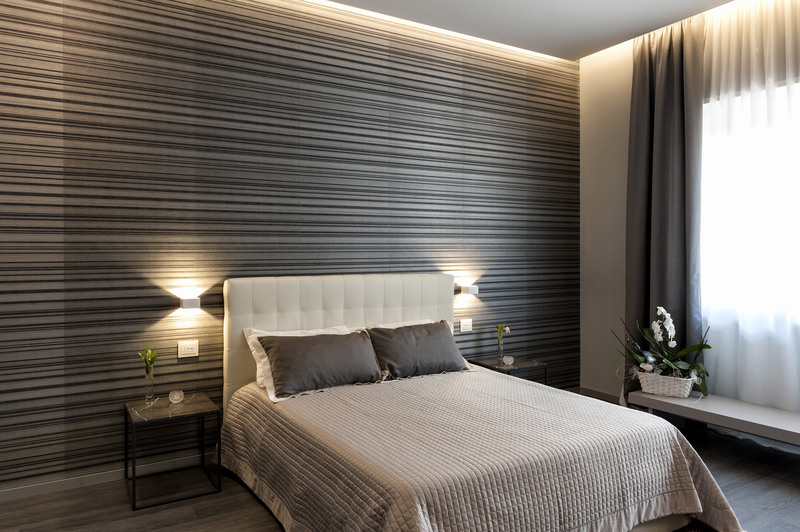 In fact, these devices are developed to allow a simple automatic management of all functions related to access, occupation status of the room and “do not disturb”. 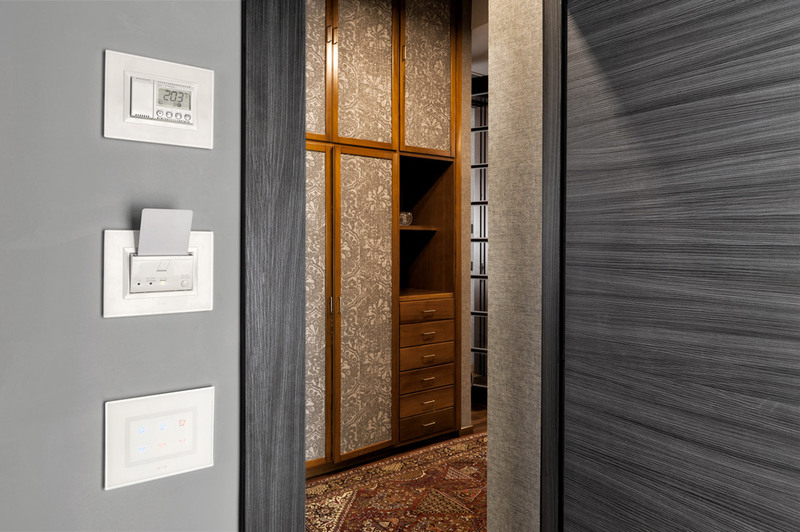 The rest of the home automation system is also perfectly coordinated: Life Touch wiring accessories series is combined with Vera 44 and Vera Touch front plates in glossy black glass. 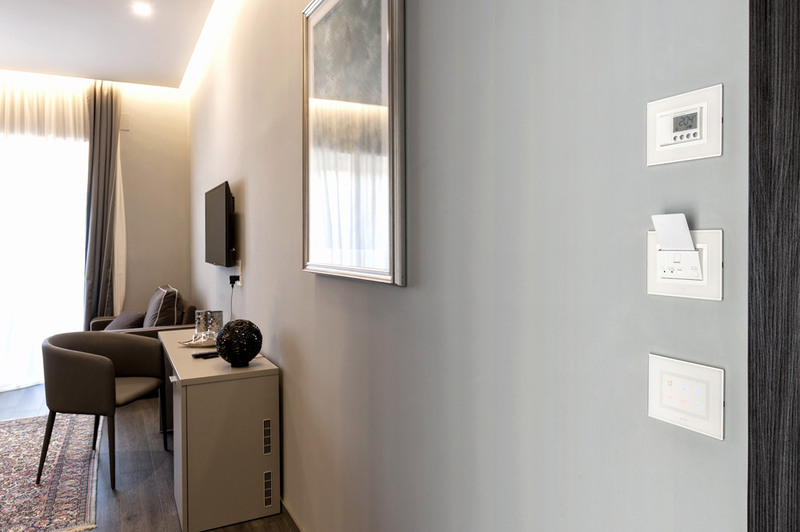 The same commands that we find inside the rooms in white version in order to combine with internal card readers, thermostats, switches and sockets of Domus Touch series.